Sometimes it feels as if it is the coins that find the collector, rather than the way around. 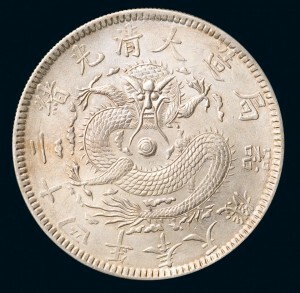 Last month, a reader contacted me intrigued by a dragon coin he had unearthed in the woods around Riga (Latvia). 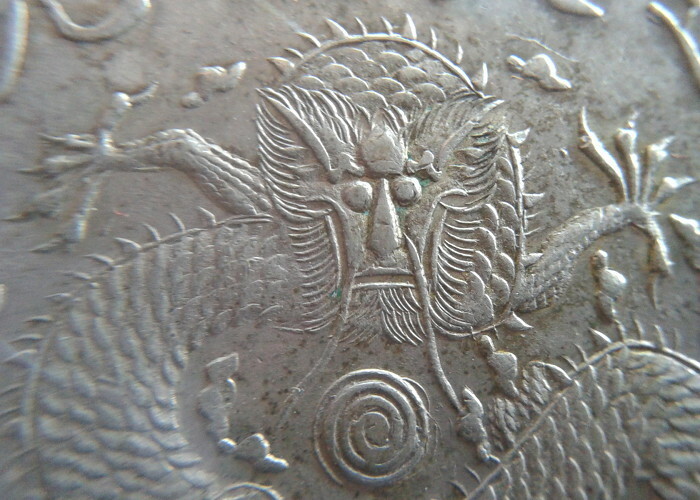 He was used to find Russian coins, but this time it was a superb Large-Mouthed Dragon from the Fung-tien province that made ring his metal detector. 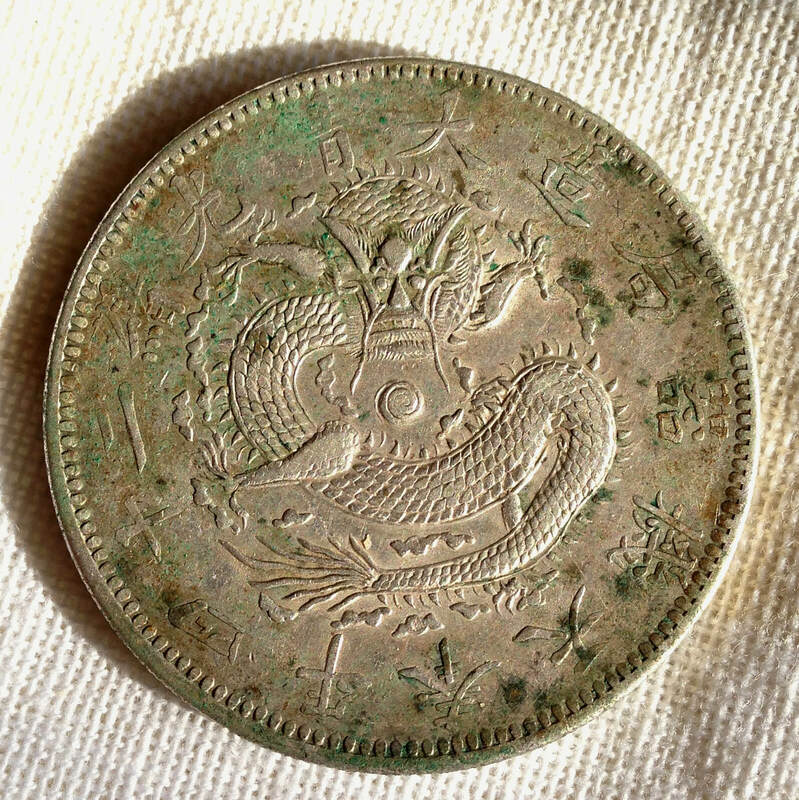 When I saw the pictures he sent me, I knew immediately that this beautiful coin with hints of verdigris and earthy surfaces was a genuine Chinese silver dollar, buried alive over a century ago. The Large Mouth dragon is a very rare variety of the 1898 Fengtien dollar, hard to find even in China. How did such a rarity end up in Latvia? At the turn of the century, both the Liaotung peninsula (which encompassed most of the Fengtien province) and Latvia were under Russian rule. 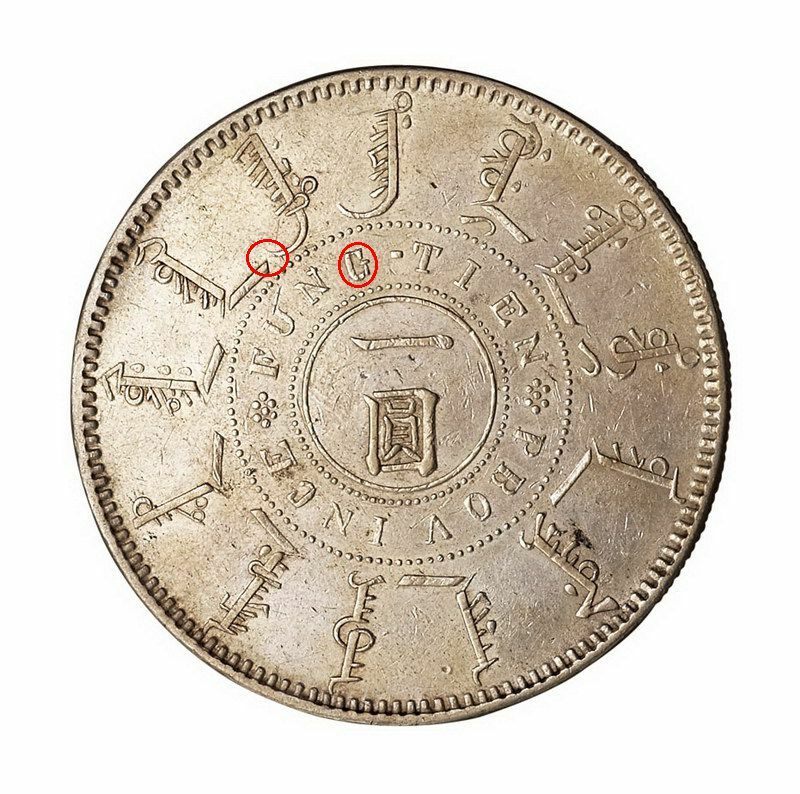 So it is very likely that the coin somehow traveled in the pockets of Russian soldiers or the coffers of merchants, from Port Arthur in Russian Manchuria to the Imperial Port of Riga in Latvia. It was lost or hidden there for a hundred years before being found by our fellow reader. 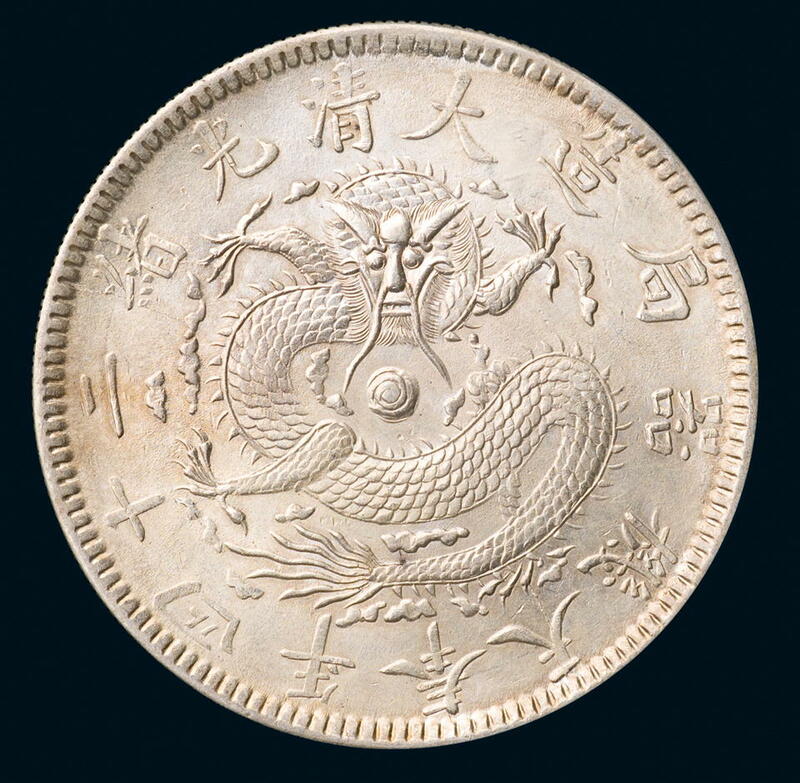 After more than a hundred years and against all odds, that rare Fengtien coin found its way back home to Northern China after I forwarded the pictures to a fellow Chinese coin collector in Shenyang who was looking for this variety to complete his set of 1898 Fengtien coins. 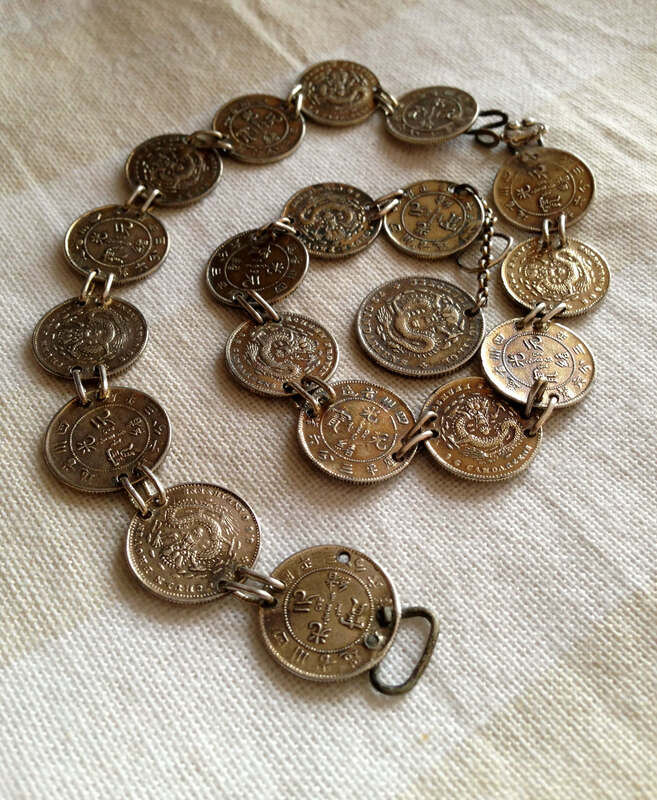 It is rare to have such a precise idea of the provenance of the coins we collect. These lucky bracelets which were brought to France in a military corvette will soon return home to China, in my pocket as I fly back to Beijing. 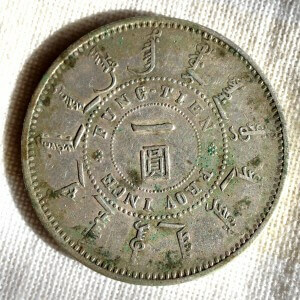 I recently acquired a new Chinese coin, struck over a century ago at the Fengtien arsenal mint in the nowadays Shenyang (沈阳) city. 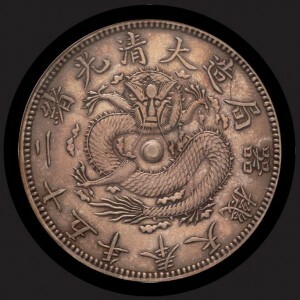 It is now one of the few cities minting coins for the People’s Bank of China, along with Shanghai and Shenzhen. Today one of the biggest cities of China and an industrial powerhouse, Shenyang can trace the beginning of its transformation in a heavy industry titan back to the establishment of the Fengtien machine bureau (奉天机器局) in the late Qing era. 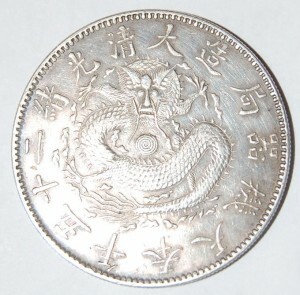 Created in 1897 at the instigation of the General Iktangga (依克唐阿), governor of the Fengtien province, the bureau was destined to modernize the provincial coinage. 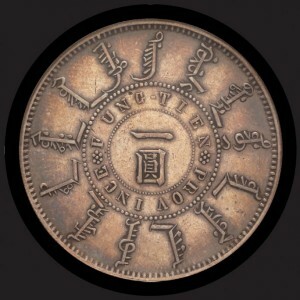 An early set of dies was commissionned from the Anqing (安庆) mint in Anhwei (安徽), and German-made steam-powered machinery were brought from Tianjin. The early test issues using the An Hui dies were denominated in maces and candareens, and were designed after the Kwantung dollar. 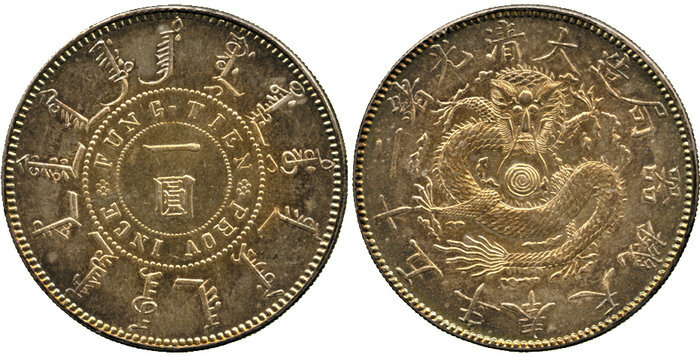 With the success of the Peiyang arsenal dollars, subsequent issues were however redesigned and the first emission meant for circulation in 1898 features a reverse bearing the characteristic circular manchu writings in the style of the contemporary Beiyang coins. 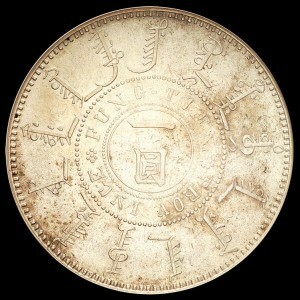 The first set of die used has a single dotted ring around the denomination on the reverse (单圈版 in Chinese). The reverse has an obvious error in the typography of the province name, with a huge empty space between the F and U of FUNG TIEN. The strike is also noticeably weak from the G to the T. On the obverse, this die is very different from the subsequent ones. The dragon face is beautiful, with some relief on the sides of the dragon nose and a large, “smiling” mouth. The fireball at the center is ornamented with a wide, incomplete spiral probably resulting from a weak strike. 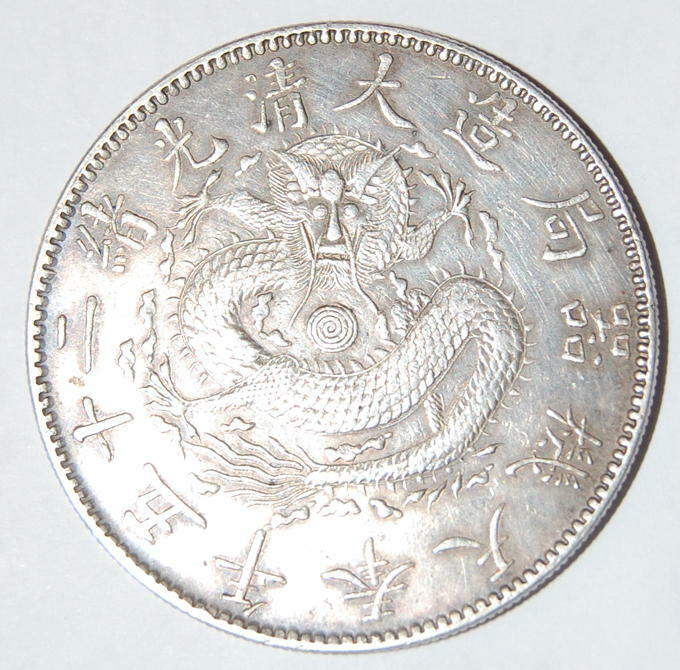 The province name on the reverse is now correctly typographied, but the strike is still weak on the area from the G to the T. The new dragon design is very different from the previous issue, with a flatter face and a thinner mouth. The spiral on the fireball is complete this time, running all the way to the center. The last emission tries again to correct the problems of the reverse, keeping the new dragon design. As seen here, the G and T are indeed slightly stronger, but the end of “TIEN” is weaker, while it was crisp in the previous strikes… It seems that like the Kiangnan mint, the early Shenyang mint had troubles with the die adjustement and thus produced weakly struck coins. 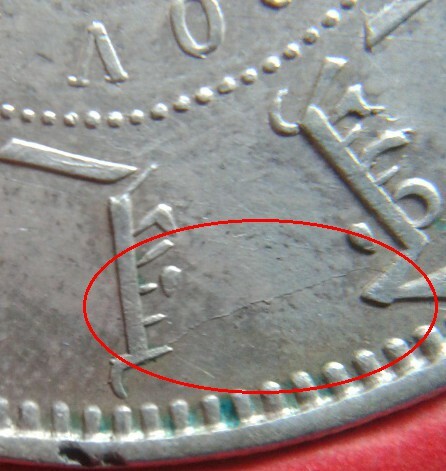 A solid circle was added around the denomination, inside the inner dotted circle. 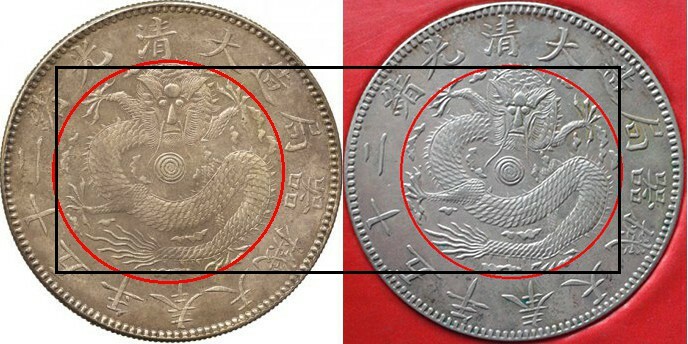 This strike is known as the “Linear circle within dotted circle” die, or 双圈版 in Chinese. After this third strike, the mint machinery was seized by the tsarist Russian army and the Shenyang machine bureau was burned down… The province of Fengtien (nowadays Liao Ning) was indeed going through dark times. Already the theater of the first Sino-Japanese war in 1895, it was then the scene of the conflict between the Russians controlling the leased territory of Liao Tung, and the Japanese army, leading to the Russo-Japanese war. 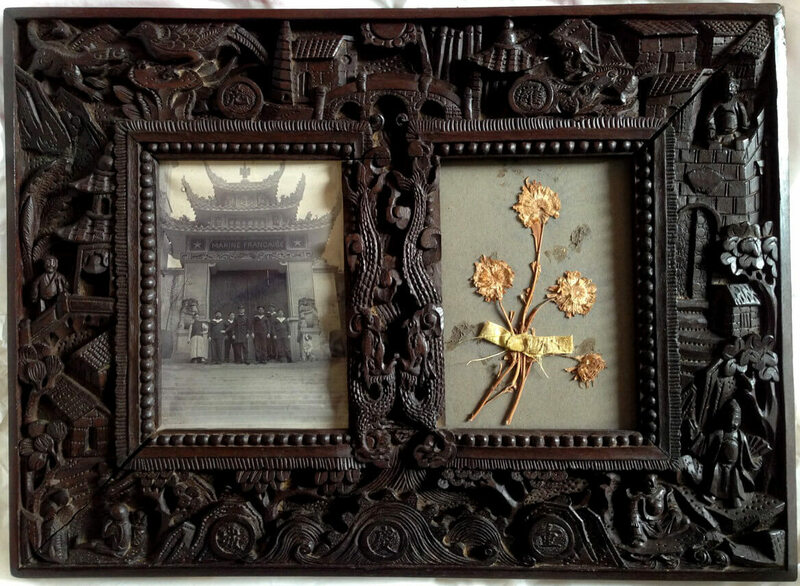 The mint at the Shenyang machine bureau was briefly brought back online in 1903 after years of reconstruction slowed down by the Boxer rebellion. Eventually, the province fell under Japanese control, later becoming part of the Manchukuo puppet state. The Japanese army and investors continued to develop heavy industries in the region, furthering the move toward automatization that had begun in 1897 with the creation of the Fengtien machine bureau. Beware of the Forgeries !